Firstly, the entire engine block will be disassembled. It will be cleaned in a hot acid bath, which completely removes any built-up grease, grit and dirt. Once this is done, we’ll check crankshaft tunnels to ensure they’re true and within manufactures specifications. 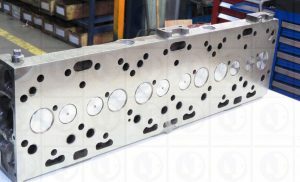 If necessary, we will also line bore your cylinder block. After this, we will check the engine’s deck height and cylinder decks for wear and inperfections , counter bore depths and for cracks and to see if they are flush. We’ll surface grind the deck face and recut counter bores. If it is a wet selvve block we with ensure your lower seal areas serviceable and not to badlt corried, PArretn bore engine we ensure your parent bores are not cracked and with a reusable condition, before we fit the standard or oversize liner Finally, cam bearings will be replaced as needed. 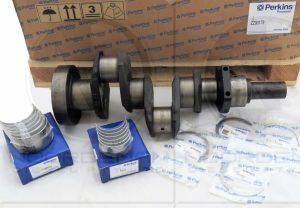 Camshafts need to be straightness , hardness and free of cracks. We will test everything regards before grinding each camshaft as necessary. 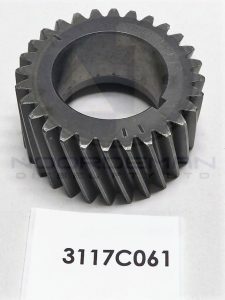 After that, we will also re-profile camshaft followers or even replace them if required. Also known as ‘conrods’, these components undergo substantial strain when the engine operates. Reconditioning them is significantly more affordable than replacing them – and we’ll be able to determine relatively quickly whether or not this is an option. If so, the connecting small end bush will be replaced and resized. The big ends of the rods will be closed and honed before they are re-sized. 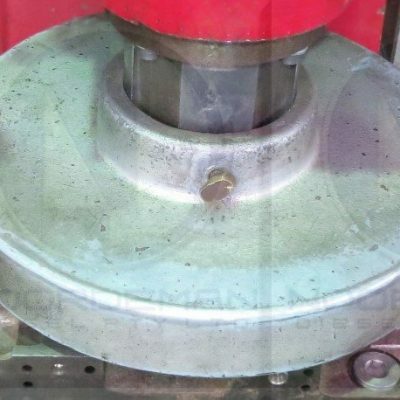 As part of the reconditioning process, we will inspect all timing gear bushes. Those that are in disrepair will be replaced. Several problems can develop with the cylinder head of a diesel engine. To begin with, broken valves can lead to serious damage over time. Likewise, insufficient use of coolant can lead to cracks and corrosion of the cylinder head. Our team will crack- and pressure-test the cylinder head before checking it for straightness. It will then be reconditioned as necessary. There are two main problems to look for on the rocker arm. The first is bushing wear, which can lead to problems with the reconditioned camshaft if not addressed. The second problem to look for is excessive wear on the rocker arm and face. After an inspection, replace rocker shafts and rocker bushes if necessary. 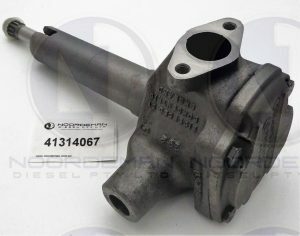 Reconditioning the oil pump is a relatively straightforward matter. We’ll overhaul the oil pump if possible. If it would be better off replaced, we will swap it out with a new pump. You’ll be amazed at the difference in performance once we’ve set you up with a reconditioned engine in Perth. Your vehicle or machinery will operate much more efficiently – with greater power and a much longer lifespan. And all of this is possible without the need to purchase a newly manufactured engine. Contact Noordeman Diesel today to find out more. Noordeman Diesel is a leading engine rebuilder for Western Australia. Our team of expert mechanics have been serving Perth and WA for more than three decades now, and we’ve become a trusted service provider for a variety of sectors – from automotive resellers and transportation specialists to earthmoving and power-generation companies. At our Welshpool workshop, you’ll find a team of specialist machinists with extensive experience working on all manner of diesel engines. They’ve been expertly trained and have the experience needed to get the job done correctly and on time. Every reconditioned engine that leaves our workshop is backed by our guarantee. But we’ve gone one step further in order to protect our customers’ best interests. As a member of the Engine Reconditioners Association (ERA) – which falls under the Motor Trades Association of Australia – all of our work is also backed by this third-party organisation. 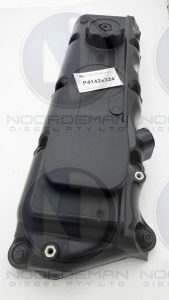 This means that you can purchase a reconditioned engine or reconditioned cylinder head from Noordeman with confidence. We proudly stand by our own work – and the ERA does the same thing. Thanks to their reciprocal repair network, there’s no need to be hesitant about putting your new diesel engine to work. If any other further requires are required on your new engine, you’ll find ERA members throughout Australia who are ready to make good on that guarantee. In our more than 30 years in the diesel motor industry, we’ve established a strong reputation as a leading service provider of engine reconditioning in Perth. This is due in part to our willingness to guarantee our own work. You won’t find a more reliable provider of engine machining, reconditioning and rebuilding in Perth. Our expert mechanics wouldn’t be able to deliver such first-rate work if not for our state-of- the-art facilities at our Welshpool workshop. It’s equipped with highly specialised machinery used to recondition engines of all sizes – from small, single-cylinder engines and large-scale diesel engines alike. 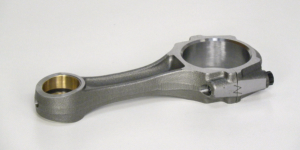 We’re also able to provide all of the necessary component machining for engines up to a V16. Regardless of how big your motor is, the team at Noordeman Diesel are up to the task. 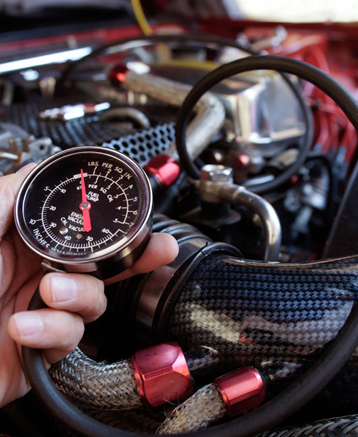 We’ll rebuild your engine professionally and with a fast turnaround. We can have your engine back in operation in no time. If you’re in Welshpool, feel free to stop by our facility for a first-hand look at our workshop. You’ll find 3 Hantke Place off Radium Street which is between Welshpool Road and Railway Parade Welshpool. Give us a call on (08) 9350 6566 if you’d like to learn more. Across the industry, you’ll find that dealers and resellers are likely to take liberties with what they consider to be a reconditioned engine. This is partly because there are no strict, government- regulated guidelines for what passes as a reconditioned engine. This is one of several reasons that we maintain membership with the Engine Reconditioners Association (ERA). Doing so helps to assure our clients and customers that we adhere to high standards and stand by our work.